If you’re a young adult in prison, life is challenging enough; if you’re LGBT+, this challenge is magnified. Faced with an environment in which prejudice can be embedded at all levels, many choose to hide their true identity to avoid further stigma. Dr Fernando Fernandes talks us through his research project and what needs to be done to tackle homophobia in the prison system. The Right to Difference: evidencing the situation of young adult LGBT+ in the UK prisons aims to understand the issues affecting the life of LGBT+ prisoners, and identify the limits, barriers and possible facilitators to protect their needs and rights. We have spoken to LGBT+ young adults (and some not so young), as well as staff and LGBT+ advocates in Scottish and English prison systems. Our key motivation for this project was the interface between being both a prisoner and LGBT+. This combination seems to be very problematic in a system and environment which is fundamentally about the annulation of the individuality – or, in other words, the symbolic annihilation of individuals. Much can be said of ‘good’ things going on in the UK’s prison systems, and it is necessary to acknowledge advances over the past decades. But we know that changes need to continue, and the very nature of incarceration must be constantly challenged. It is not uncommon that people ‘believe’ in the prison system as an institution that can change individuals, ‘reform’ and ‘rehabilitate’. Yet there are those who believe in the damage imprisonment can produce from a mental wellbeing perspective – as well as the actual need of incarceration for some individuals according to their offences. There is one dimension of ‘beliefs’ driven by the ‘rehabilitation doxa’ – the very idea that prison can be a window of opportunity to ‘fix’ people and address their problems, to work around issues that not always can be systematically addressed in the community. This can become a dangerous thinking, I argue in a recent paper, as people genuinely wanting to help others start to believe in prison as a solution. We come across many prisoners who truly believe that prison is doing well for them, and are worried about their release to community – the continuity of prison care and support can be better organised than community services. But this is not always the case, and there is room for discussion in comparing prison support to community-based services. In my view, what we have observed through research is that prison is more the end of the tunnel for an ‘expanded system of punishment’ – that starts with warnings, minor charges, school exclusions, progressing to benefit sanctions, humiliations in accessing the welfare services, fuel poverty and food security. I am talking about the ideology of ‘workfare’ that, in the UK, is underpinned by negative social representations of certain social groups – ‘them’ in a more sociological language, in contrast to ‘us’ (‘the taxpayers’, ‘the educated’, ‘the deserving’). As such, we cannot talk of ‘prisoners’ as an isolated category. In most cases, the ‘prisoner’, as we well know, is someone who has been through that expanded system of punishment over his/her life span. Then, by speaking to LGBT+ prisoners, I get a sense that I am not speaking, again, with isolated categories (or labels) of ‘prisoner’ and ‘LGBT+’. I am talking to people who are a result of that ‘expanded system of punishment’ – as their life trajectories can tell. But what is so relevant to understand the experiences of being an LGBT+ individual in jail? LGBT+ (or its acronyms variations) is a label covering a very diverse range of individuals grouped according to their ‘sexual orientation’. This also includes those who, despite of being ‘straight’, have solidary to LGBT+ cause, and therefore are politically engaged in their struggle. Being an LGBT+ individual in jail can add an extra layer of psycho-emotional distress for those who are a target of prejudice, harassment, violence and abuse. It can also be psychologically disturbing for those who have always been open about who they are, yet once in prison, decide to live ‘in the closet’, or under the shade of the fear of homophobia – a reality not only in jail, but in the society. But the prison environment, with its own characteristics and dynamics of power, relations and fears is a magnified microcosm of all the issues that affect LGBT+ individuals in society. 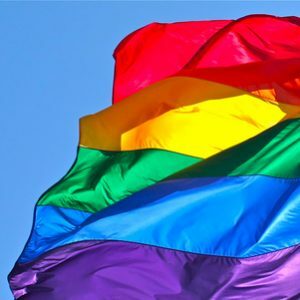 The UK society is well advanced in relation to individual liberties when compared to other countries, yet homophobia is still an everyday threat. The same must be said – with some reservations – of the prison system. Indeed, I could observe a willingness amongst prison staff at all levels in respect to LGBT+ individuals. But the practice of this is limited by the way the prison system operates and non-explicit prejudices that are embedded in staff practices. I have heard many stories about the concerns of creating a system of exception and ‘privileges’ for LGBT+ individuals, something that could put the ‘system’ at risk. So, we arrive at a point where the respect and preservation of individual liberties is limited by rules and protocols that are, in principle, a barrier for the recognition of the ‘right to difference’ in prison. This reinforces my thesis that prison operates in a way to symbolically annihilate individualities and to create a mass of ‘prisoners’ that are, not surprisingly, ‘managed’ – a term that is itself, problematic for translating the idea of objectification of subjects. It is necessary to acknowledge the government’s efforts to accommodate sensible issues, such as the care and ‘management’ of transgender prisoners. But what then are the real limits to ‘the right to difference’ in prisons, and the guarantee and protection of individual rights of LGBT+ prisoners? The first area to look at is the prison environment itself, dominated not by homophobia at first glance, but by the culture of heteronormativity. Heteronormativity is a mind-set that sees the world in a binary way: male or female. This is taken for granted as the ‘natural’ thing. Heteronormativity is not exclusive to the prison system, it is the rule in our society, and it is difficult to be thought of differently. We learn the world in this way, and have difficulty ‘fitting’ in anything different or that’s seen as ‘aberrant’, resulting in stigmatising labels that follow a ‘pedagogy of monsterisation’ set to define boundaries between ‘us’ (heterosexual, ‘normal’) and them (‘abnormal’). This has serious consequences to how we perceive the world, and, by extension, design laws, policies, protocols and practices. That is why challenging heteronormativity should be a first step when considering the challenges to not only ‘accommodate’ LGBT+ individuals in the prison system, to reshape the prison system and its functioning. The culture of heteronormativity seems to be less tangible and more difficult to achieve unless more radical changes take place over the years – if not decades. Many positive steps have taken place. But there is still a lot to be achieved, and this has to do with cultural shift, at an individual and institutional level through expanded forms of coexistence. A second challenge involves the creation of support mechanisms that can have immediate impact on LGBT+ prisoners. Those we talked to often felt afraid of disclosing who they were – even in the confidential form they completed on arriving at prison. This shows the difficulties in identifying individuals, and most importantly, the need to create a safe environment where people can be themselves. Fundamentally, people in prison were sentenced with deprivation of liberty, not deprivation of identity. However, to create a safe (or safer) environment for being LGBT+ in prison, measures cannot be limited to punishment of those who pose a threat to LGBT+ individuals. Rather a pedagogical process should take place, and issues of equality, equity and the right to difference should be explored as part of a potential cultural shift in mindsets – both for prisoners and prison staff. In the prisons we visited, some have developed interesting initiatives to tackle homophobia with a pedagogical approach. This could contribute towards a ‘pedagogy of coexistence’ that should guide alternative mindsets to ideas of punishment still dominant in the prison system. For that, we need to turn towards what we have been calling ‘the paradigm of potency’, that claims for the inventive power of individuals, the recognition of their humanity and belonging. Furthermore, the recognition of individual identities can be a force for change, rather than a barrier for protocols or ‘systems of privileges’. That recognition could certainly be a first step to promote better forms of coexistence, reduce harm, and promote individual capacities towards positive change in a less harmful and more welcoming environment – despite the challenges involved. There is no easy response, but we are certainly open to discuss this and propose new agendas for cultural change in prison systems that hopefully will emerge from our research project. If you want to know more and get in touch, please contact me via f.l.fernandes@dundee.ac.uk. I’d like to thank all the team involved in the project, and Barrow Cadbury Trust for funding us. Dr Fernando Fernandes is based at the University of Dundee, specialising in human rights, sociology, public health and community development. He is an associate director for Maria and Joao Aleixo Institute in Brazil, where he has developed research and social activism on violence and human rights over the past two decades. He served as a CYCJ Associate from 2017-18.